GOVERNMENT TEACHER: SEB TET-1 Exam Online Application Starts Now. Application fees :-The Fees Charges For General/OBC Is INR 350.-For SC/ST Candidate the fees is INR 250. 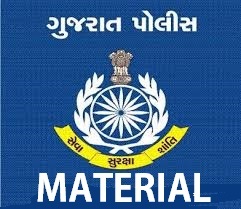 Government Job & Non-Government Sector’s job Updates , Educational News , Gujarat All Competitive Exam Study Materials Circular Credit Update About Primary Education Department. : HTAT, TET ,TAT Study Materials, GPSC Study Materials, GSSSB Study Materials, Police Study Materials, Free Stock & Bank Job IBPS Related Information Lawyer Latest Mobile tips, internet idea and Other Must visit this blog everyday for latest offers of Various brand and other technology Updates, Competitive Exam Study Historical Materials and Gk MP3 Exam materials,Tips For Successful in Exam….